Do you have a passion for Spanish language, literature, and culture? Do you want to immerse yourself in one of the fastest-growing international languages? Major in Hispanic Studies at The Catholic University of America and give yourself an advantage in our multicultural society. As a Hispanic Studies major at The Catholic University of America, you will become proficient in the Spanish language while receiving a thorough introduction to Hispanic literature and civilization. There is also the opportunity to major in Spanish for International Service, which will prepare you for a career in government agencies or Spanish-speaking businesses. Your study of Hispanic culture will take place within the broader context of scholarship that distinguishes a liberal arts education, helping you to grow as a global citizen. The Catholic University of America encourages you to enrich your Hispanic Studies education by spending a semester abroad in a Spanish-speaking country. Studying in cities like Madrid or Buenos Aires allows you to expand your cultural knowledge and gain valuable language practice, both of which will serve you well in the career of your choice. The Major in Hispanic Studies offers an interdisciplinary approach to the study of the Spanish-speaking world. It is designed to provide students with a solid background in the cultural history of Latin America, Spain and the Hispanic and Latino communities in the United States. Students combine language, culture and practical skills courses in the Department of Modern Languages and Literatures with a practical immersion experience in a Spanish-speaking country. Students are encouraged to supplement their studies with courses dealing with the Spanish-speaking world in areas such as Anthropology, Art, Drama, History, Media Studies, Philosophy, Politics, Psychology, Sociology, and Theology and Religious Studies. Hispanic Studies Majors are required to spend a semester studying abroad in a Spanish speaking country. All credits earned abroad are eligible for transfer if the student is enrolled in affiliated programs. SPAN 300, SPAN 489, and at least one 400-level content research seminar must be taken at The Catholic University of America. Under special circumstances may students petition that the study abroad requirement be waived. In these cases the department will consider summer abroad programs, approved cultural immersion experiences, or internships instead. Hispanic Studies Majors are strongly advised to complete the course work for either the Certificate in European Studies or the Certificate in Latin American and Latino Studies. Students are also strongly encouraged to add minors or a second major in related disciplines, such as Art, Drama, History, International Business, Media Studies, Philosophy, or Politics. At The Catholic University of America, a Hispanic Studies major will instill in you the importance of being a contributing member of our global society. In your first year, you will study philosophy, theology, and English as part of a small learning community of about 18 students. In these classes, you will start to think about what all of humanity shares in common, making you better able to appreciate cross-cultural similarities and differences. Washington, D.C. is home to many organizations that will connect you to the city's rich Hispanic and Latino culture. There are opportunities to intern or volunteer at organizations such as the Spain-USA Foundation, the Smithsonian Latino Center, the Mexican Cultural Institute, or at the annual Hispanic Heritage Month. By interacting with these organizations, you will hone your Spanish skills and come to better understand Hispanic culture. In addition the city's vibrant Spanish-speaking community, there are plenty of opportunities on campus to connect with other students who share your interest in Spanish language and culture. The Catholic University of America's Spanish Club promotes cultural exchanges through films, lectures, and campus events. You can also volunteer with local youth and community outreach programs like the Latin American Youth Center and Neighbor's Consejo, a local non-profit that serves D.C.'s Latino community. In an increasingly globalized world, command of a second language will give you a competitive advantage. Your study of Spanish, shaped by a liberal arts education, will prepare you to participate in a number of different fields. Hispanic Studies majors at The Catholic University of America go on to graduate study as well as to careers in politics, international relations, and education. Specialized programs are available for students interested in Spanish for Secondary Education, Spanish for International Service, and Spanish for Healthcare. 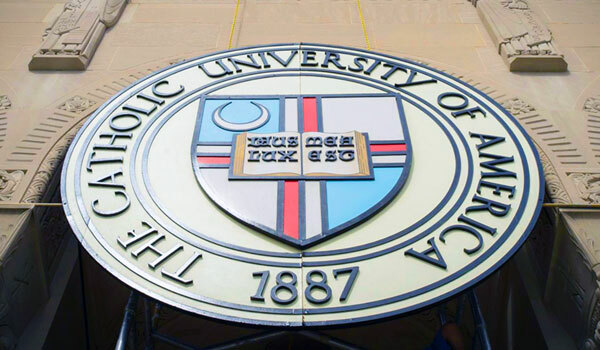 Catholic University also offers a joint Bachelor's/Master's program in Spanish.